Not so fast with that soda tax, Mayor Kenney. Blondell Reynolds Brown has another idea. 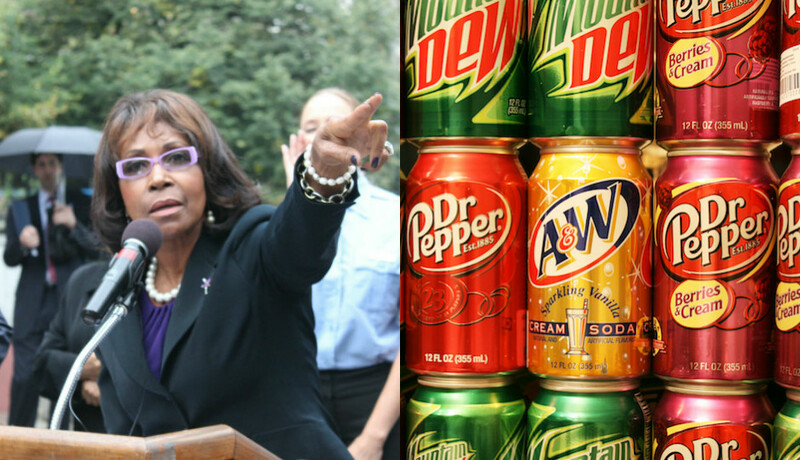 By Jared Brey·	 5/18/2016, 12:57 p.m.
Councilwoman Blondell Reynolds Brown will introduce a bill on Thursday levying a tax on beverage containers as an alternative to Mayor Jim Kenney’s proposed soda tax, sources familiar with the plan told Philly Mag on Wednesday. Details of the legislation weren’t immediately available, and Brown’s office didn’t say what tax rate she would propose. The Kenney administration didn’t seem too jazzed about the proposal. Administration spokeswoman Lauren Hitt said the revenue department had studied a tax rate of five cents per container and found that it would only raise between $19 million and $25 million — less than half the funds the administration is hoping to raise for expanded pre-K, community schools, and improvements to parks and rec centers. A source in City Hall said Council members believe a 10-cent per container tax would raise the funds the administration is hoping to raise. Hitt said that might raise $38 million to $50 million (getting closer! ), buy only assuming there are no exemptions for milk, water or pediatric nutritional drinks. Council President Darrell Clarke, who’s been non-committal but notably unenthusiastic about the soda tax, suggested that a tax on containers might be more fair than a soda tax, which he maintains is regressive. Councilwoman Jannie Blackwell, who is one of three Council members who said they were firmly opposed to the soda tax, said she didn’t know anything about the container tax proposal. “We’ll keep our eyes open to look at everything, which we should, and we’ll see what happens,” Blackwell said. Council members spent Wednesday listening to public testimony on the soda tax. Residents, teachers’ union leaders and youth advocacy groups spoke largely in favor of the tax and the initiatives Kenney wants it to fund. Harold Honickman, a soft drink bottling mogul who opposes the soda tax, has raised the possibility of taxing rigid containers. However on Wednesday, Larry Miller of the American Beverage Association-funded group Philadelphians Against a Grocery Tax criticized the container tax. “We are opposed to any regressive tax that unfairly singles out one set of products and negatively impacts those who consume them,” he said.